Not too long ago, in a slightly different reality, I found myself in the Village on the Saturday before Halloween, walking into the basement performance space of Le Poisson Rouge, one of the best sounding rooms in Manhattan. It was a special occasion, for I was there to bear live witness to one of the most brilliantly spare, drone-y, and perfect bands since Manchester hatched Joy Division, or Los Angeles hatched Mazzy Star. Either way, my excitement for this first-time endeavor should not be underestimated. As I circled near the back of the crowd like the timid dog that I am, the smell of burnt broccoli wafted about, the audience full of fellow longhairs priming their internal monologue for the music about to unfurl. Psychic Ills drifted onstage and immediately added to the haze already visible in the room, letting out cut after cut from their latest triumph, Inner Journey Out, released this summer on Brooklyn label Sacred Bones (whom have cultivated an excellent roster of artists; worth checking out). Filling out the band with mainstay members Tres Warren (guitar / vox) and Elizabeth Hart (slinky bass party), were a drummer, a mysterious man on keys, a lap steel conjurer, and even a backing chorus to provide amazing group vocals on songs like “New Mantra”. Somewhere in the funk, they cast the spell that is “Ra Wah Wah” and the audience woke up 10 minutes later in the middle of the desert beside a dead Joshua Tree. Now, back to the current reality, I wish the panic and shock I currently feel could have been pondered to this set. Not that I think this music would sooth it away, but massage the plan for next steps—a mantra (not the WiFi password). Let it be known, this band is a cornerstone of the twenty-teens guitar music experience and a synthesis of old fashioned T-Rex glam and shoe gaze groups. 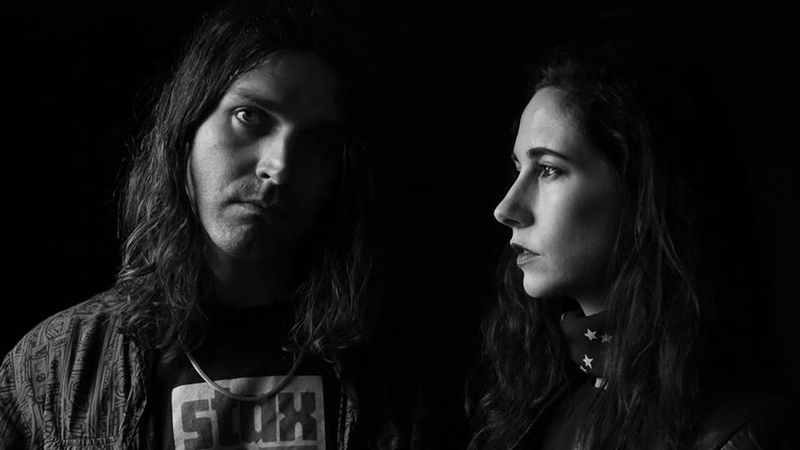 Psychic Ills has a hypnotizing simplicity, elegance, style, and magic that is only getting more rare in this complex age.